The Botanist pub, bar and restaurant to provide vibrant addition to Bucks entertainment scene. The Botanist has opened its doors in Marlow bringing locals and their guests a great place to eat, drink and be merry throughout the Christmas festivities and thereafter. he bar and restaurant will be open from noon to midnight each day and will serve botanical cocktails, craft beers and ales along with deli and rotisserie inspired food. The Botanist aims to provide something for everyone, from a relaxing daytime catch up to the perfect atmosphere to enjoy an evening of drinking and dining with friends. The building is an impressive take on the old and the new, with the combination of Victorian and modern externals coupled with striking cosy interiors. The venue offers ample room across the restaurant and bar areas for over 180 guests. There will be live music every evening and the soundtrack will be a variation of new and old, delivered live on piano, guitar and vocals. 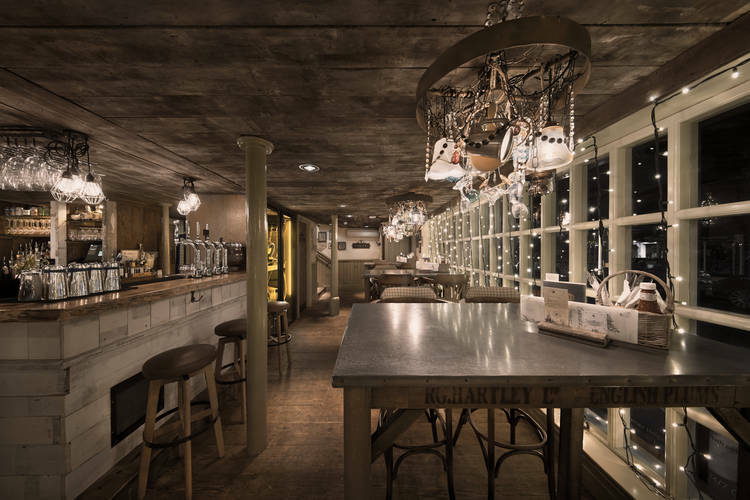 Chris Hill, Managing Director of The New World Trading Company said: “We are excited to be opening The Botanist in a community which has such a passion for food and drink. We are looking forward to immersing ourselves in town life.